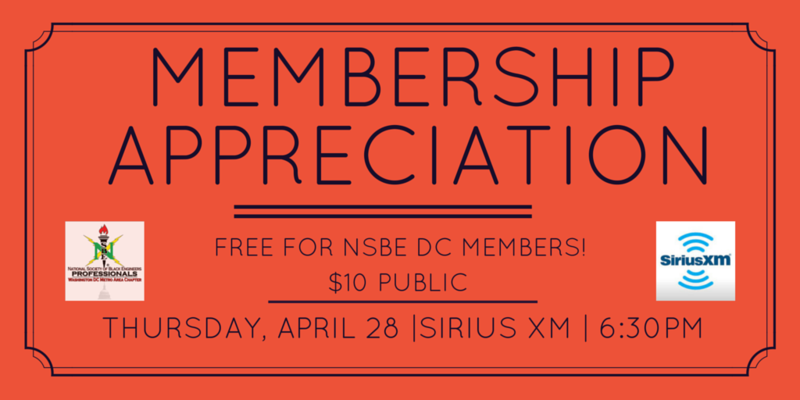 Join NSBE DC at our Membership Appreciation event on Thursday, April 28, 2016 at Sirius XM from 6:30pm-8:30pm! Stay tuned for more updates for this event! Register today for this exciting event! For questions, please contact the NSBE DC Membership Chair at membership@nsbedc.org.